Well for those who joined us at our Spell Opening party last month, and enjoyed a generously donated cold beer from the boys at Stone & Wood, they’ll be happy to know that the boys at Stone & Wood are putting on a an awesome Art Show called “The Keg Show”… We’ll certainly be strolling across the road from Spell HQ to check out the artworks, especially as our gorgeous friend Terezka Beck (above) is one of the featured artists!! 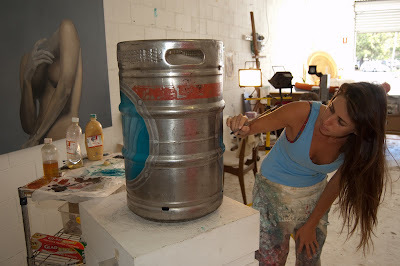 “We paint our kegs with a simple green stripe, so we don’t lose them. But this got us thinking about what it’d be like if we got some real artists to paint an entire keg each and then sell them for charity. So The Keg Show was born … where twelve Australian artists have used our kegs as canvases to capture their creativity. 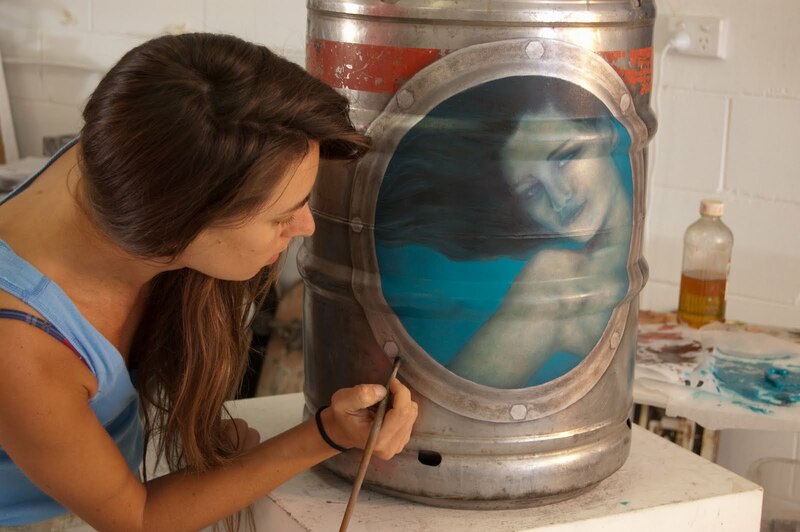 The collection of keg artwork will be on show at three events, where art and the art of brewing beer come together for a good cause. The exhibition includes original works by Beci Orpin, Ben Brown, Beastman and heaps of others. So come along and have a beer with us at the Stone & Wood Brewery (Byron Bay) on June 4, 19 Karen Gallery (Gold Coast) on June 18, or Ambush Gallery (Sydney) on July 1.